McNicholas hosts its annual Open House Nov. 6. According to Director of Admissions and Enrollment Christina Mullis, Open House is the second most influential experience for prospective students and their families after shadow days. “It’s a big deal for families because at that time the parents can have some input too,” Mullis said. While Mullis and her office are in charge of coordinating the logistics and planning, everyone has a role to play in making the event a success. “It is truly a school wide effort,” Mullis said. Personal family tours will once again be led by trained McNick student ambassadors. Ambassadors will also be helping out in the classrooms in different roles alongside faculty and staff, whether it’s simulating a science lab or being a representative for a club or sports team. Mullis believes that while it is all essential, tours are one of the most important aspects of the annual event. “The feedback that I get from families is they are always impressed that a high school student is always able to be so articulate and take them around, showing them the school,” Mullis said. Both teachers and ambassadors engage with the prospective students and their families, and Mullis said the goal is for the tour guides to be welcoming hosts and to personalize the experience towards each prospective student. 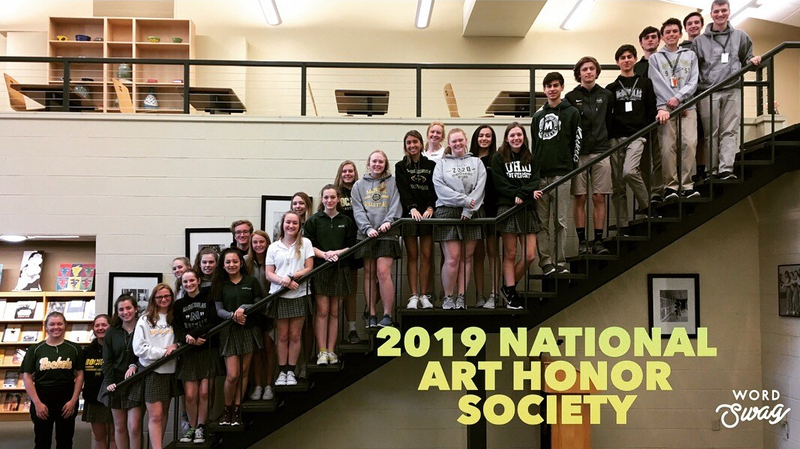 Doors open at 1 p.m. on Sunday, Nov. 6, and Open House continues through 3 p.m.
McNicholas hosts prospective students and their families at Open House on November 6, from 1-3 p.m. Teachers, staff and students all have important roles to play in making the day a success.